Running from 2014 to 2020 with a budget of just over €70 billion, the EU’s new programme for research and innovation is part of the drive to create new growth and jobs in Europe. The proposed support for research and innovation under Horizon 2020 will strengthen the EU’s position in science by boosting top-level research in Europe and strengthen industrial leadership in innovation with major investment in key technologies. FP7, is a European Commission funded programme to facilitate the co-operation of the very best in industry and academia to push the state of the art in technology and put Europe on a level playing field with the rest of the technology world. The European Commission partially funds industrial partners and fully funds academic partners in projects to build cutting edge research and integration offerings, products, and output. This allows industrial partners to become world leaders in their fields whilst giving academia a “guiding” hand as to what is relevant in the market place. Involved since 2010, Flexiant helps to guide projects in their shape and form to ensure that the output of the project can be realised in the marketplace. We also allow project partners to utilise the state of the art cloud platform that Flexiant hosts. In addition, Flexiant works closely with partners to help realise and integrate any new functionality that the project requires via the comprehensive API. 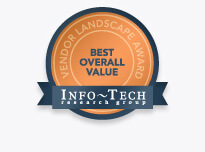 As one of the first European providers of a public Cloud Platform, being involved in FP7 projects presents us as the thought leaders in our field. Furthermore, Flexiant gains access to a very high calibre of industrial partners such as BT, ATOS, SAP, Telefonica, Orange, and France telecom. These peers work to drive projects along with many highly regarded academic partners. Today, the creation of Virtual Private Networks is only possible on a homogeneous Cloud infrastructure. The BEACON project aims at enabling cloud networking, which allows the creation of virtual pools of resources at multiple network locations. This €3.5 million project aims to ease the implementation and incorporation of High Availability techniques, especially for SMEs. BEACON also allows SMEs to secure deployments thanks to firewall templating, authentication and vulnerability scanning. DICE is a €3.9 million project which aims to define a framework for quality-driven development of Big Data applications. The three-year research programme will offer a novel UML profile and tools that will help software designers reasoning about reliability, safety and efficiency of Big Data applications. DICE will cover quality assessment, architecture enhancement, continuous testing and agile delivery, relying on principles of the emerging DevOps paradigm. ENTICE will simplify the creation of lightweight and highly optimized VM images tuned for functional descriptions of applications. This €2.8m project will devise techniques to automatically decompose and distribute VM images based on multi-objective optimization, a knowledge base, and reasoning infrastructure to meet application runtime requirements. A selection of use cases from energy management to earth observation and cloud orchestration which will be used to validate the ENTICE environment. CACTOS seeks to develop cost and risk saving developments for increasing cloud service infrastructures. 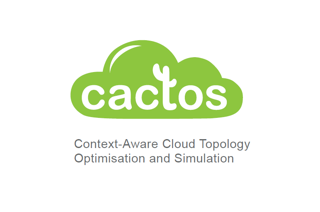 By collecting and utilising historical data and research CACTOS will optimise differing hardware options to deliver a simulation that will allow cost and risk analysis. By testing this framework in three distinct sectors CACTOS seeks to create greater energy efficiency in this ever increasing market. S-Case will help developers save time during software development and re-invest those savings in more important tasks. It will automate the mapping of user requirements employing natural language and image processing. 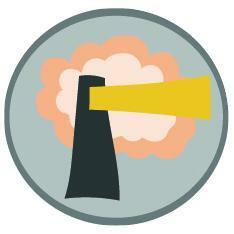 The three practical project outcomes involve developing workable examples for social networking, energy services and cloud computing. The S-Case realm will create a resource containing tools for developers based on the project R&D. CELAR will explore ways to provide automated resource allocation for cloud applications. Resources will be kept to a minimum to ensure cost effectiveness and “green” environmentally friendliness. The project will define methodology and build a toolset for developers to build applications on “enabled” IaaS platforms using minimum requirements. The outcome of this project will be open source. PaaSage delivers an open and integrated platform to support model based lifecycle management of Cloud applications. The platform and the accompanying methodology allow model-based development, configuration, optimisation, and deployment of existing and new applications independently of the existing Cloud infrastructures. MOVESMART will provide real-time personalised mobility services based on crowd-sourced information from travellers. The anonymous data will be gathered using either mobile data or via simple portable devices. MOVESMART aims to enhance transport integration and will involve working with electric car manufacturers, service providers and public authorities to create workable examples of the technology in two major cities with different profiles in terms of size and complexity of their transport network. MODAClouds Current Cloud’s offer is becoming day by day wider providing a vibrant technical environment, where SMEs can create innovative solutions and evolve their services. Cloud promises cheap and flexible services to end-users at a much larger scale than before. However, Cloud business models and technologies are still in their initial hype and characterized by critical early stage issues, which pose specific challenges and require advanced software engineering methods. The main goal of MODAClouds is to provide methods, a decision support system, an open source IDE and run-time environment for the high-level design, early prototyping, semi-automatic code generation, and automatic deployment of applications on multi-Clouds with guaranteed QoS. This project is known as a distributed database solution that aims at developing a radically new Platform as a Service that will provide high scalability (100+ service nodes) without sacrificing data consistency and ease of programming. The targeted PaaS will be a multi-tier software stack for cloud computing providing the same functionality to current, software multi-tier stacks, such as Java EE, SAP Netweaver or .NET. The goal of this solution is to make number crunching faster and easier with no need for businesses to invest in physical hardware. This project is now complete. 4CaaSt offers an application marketplace for service providers to use to focus on their business (both the software and the service monetization), leaving the underlying complexity of infrastructure and platforms out of their concerns. This marketplace’s main purpose is to build an innovative framework for creating, marketing, deploying and managing applications on the Cloud, both over platform products and platform as a service. This project is now complete.